Taboo is from our 2010 litter. She is out of FCh. MBIF Cdn. Ch. Kopera's Jenga Factor SC (Jenga) and Cdn Ch./Am. Ch. Cedarpoint's Duma Tau. I am so pleased with this little girl. Taboo is my first homebred champion. Taboo is a St. John Ambulance Therapy dog. She is also child-certified! 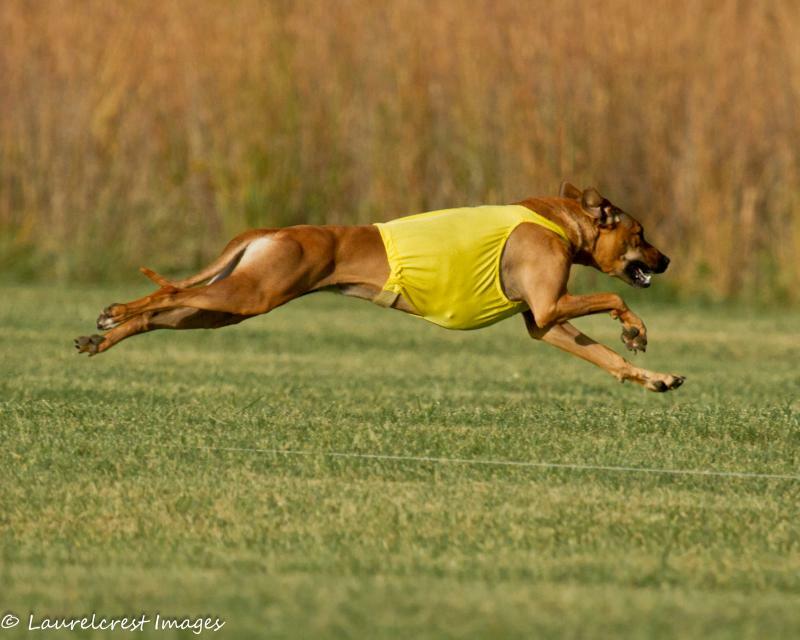 Taboo wins BEST OF BREED at the Michigan Gazehound Lure Coursing Trial - October 2013 - 1st TRIAL EVER!! 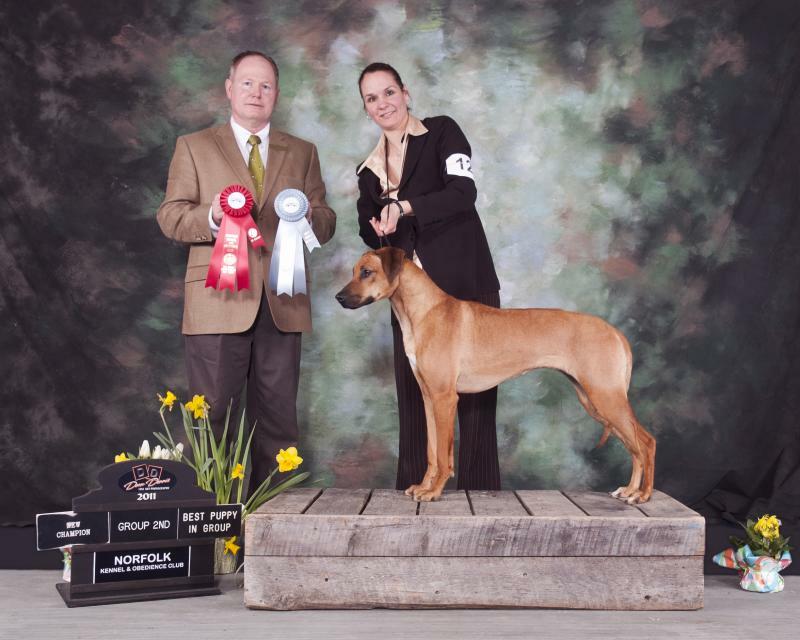 #4 Female Ridgeback in Canada!! Taboo wins the Association of RR Fanciers of Western Ontario Specialty June 18, 2011 at just 14 months of age!! She was breeder/owner handled. So proud of this young homebred girl! 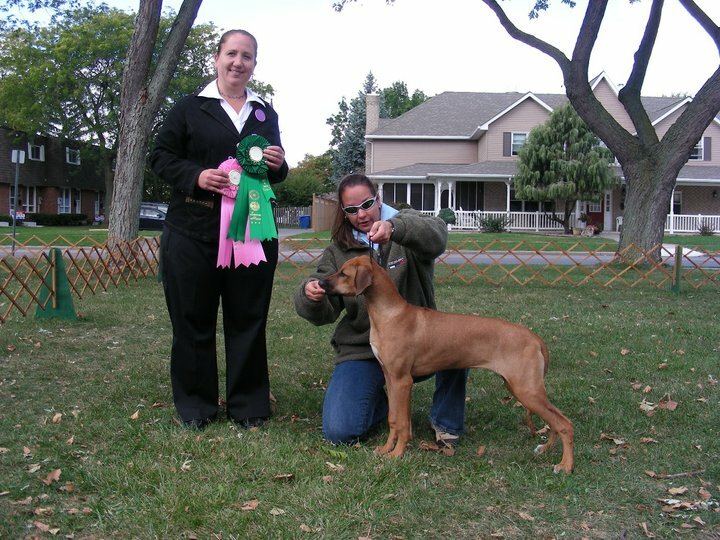 Taboo goes Winners for a 3 point major at the Detroit Kennel Club show March 6, 2011 at just 10 months of age!! She also won Best by Exhibitor in Breed and Made the cut in BBE Group!! This was her first weekend in the United States!! April 1, 2011 (5 Points...though she only needed 2). This completes her Canadian Championship at 11 months of age! This also make her my first homebred Canadian Champion. Taboo wins Best of Breed for 2 points and Best Puppy in Group - Her first show out - 7 months old!! 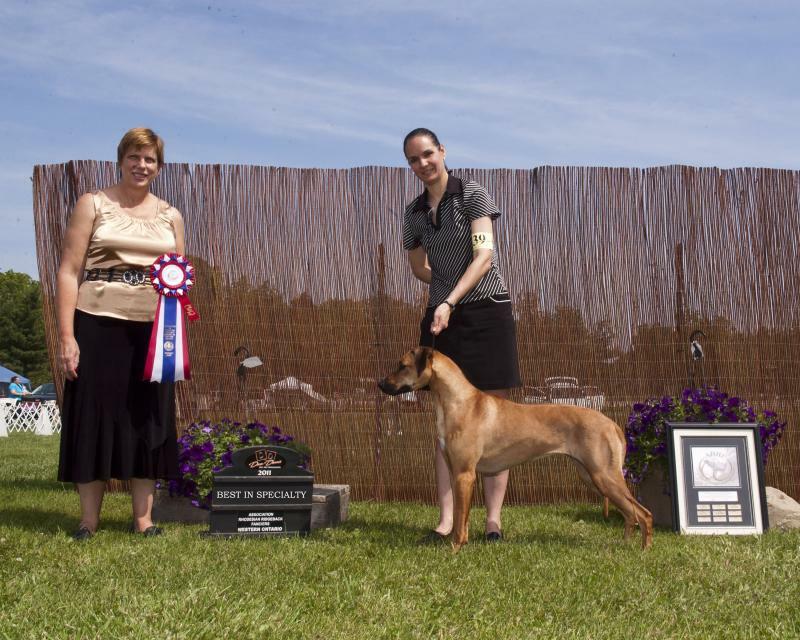 Taboo goes Winners Female and Best Puppy in Group at Kent Kennel Klub show for another 2 points! What an Amazing weekend for this young puppy! 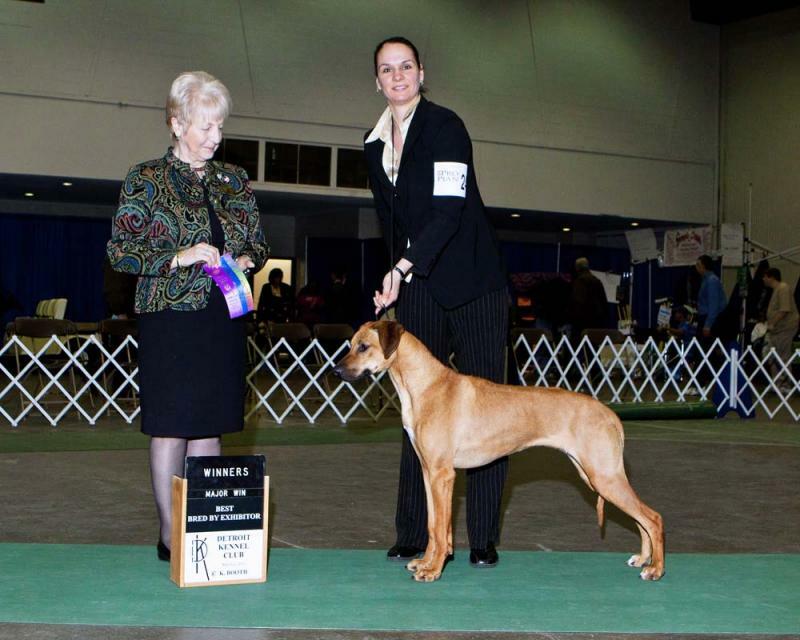 Taboo goes Best of Breed at the Elgin Kennel Club Show - Jan. 22, 2011 for another 2 points! Sitting on 8 points at 9 months of age. Taboo wins Best in Match and Best Puppy in Match at the WABTTC sanction match over 26 entries!